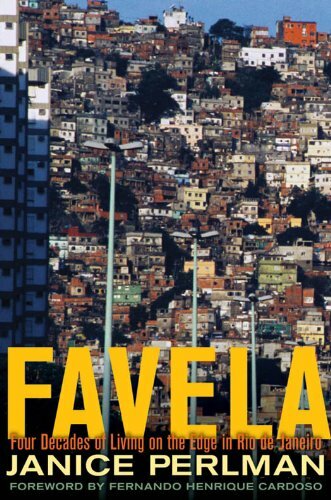 Janice Perlman wrote the first in-depth account of life in the favelas, a book hailed as one of the most important works in global urban studies in the last 30 years. Now, in Favela, Perlman carries that story forward to the present. Re-interviewing many longtime favela residents whom she had first met in 1969--as well as their children and grandchildren--Perlman offers the only long-term perspective available on the favelados as they struggle for a better life. Perlman discovers that while educational levels have risen, democracy has replaced dictatorship, and material conditions have improved, many residents feel more marginalized than ever. The greatest change is the explosion of drug and arms trade and the high incidence of fatal violence that has resulted. Yet the greatest challenge of all is job creation--decent work for decent pay. If unemployment and under-paid employment are not addressed, she argues, all other efforts will fail to resolve the fundamental issues. Foreign Affairs praises Perlman for writing "with compassion, artistry, and intelligence, using stirring personal stories to illustrate larger points substantiated with statistical analysis."